Janine Jackson interview Mark Trahant about the new Indian Country Today for the May 11, 2018, episode of CounterSpin. This is a lightly edited transcript. 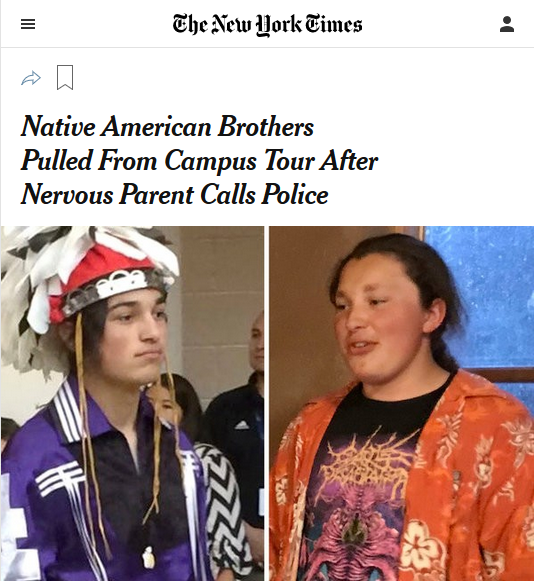 Janine Jackson: After campus police at Colorado State University pulled two Native American teens off a college tour when a woman told 911 that they were “definitely not” supposed to be there, the school’s president spoke directly to concern about “white supremacists” and their attempt to “frighten and isolate people.” While, if headlines are meant to tell the tale, the New York Times’ “Native American Brothers Pulled From Campus Tour After Nervous Parent Calls Police” fell rather short. Euphemism aside, listeners likely heard about the incident, spotlighted like others, via social media. Did you know, though, that fully a third of the senior Interior Department officials reassigned in Secretary Ryan Zinke’s recent reshuffle are Native American, even though Native Americans make up less than 10 percent of the department’s workforce? Sources say it’s part of Zinke’s barely veiled plan to remove obstructions to extractive industry. That news, reported by Alice Ollstein at Talking Points Memo—and that’s about it—is also a story about indigenous people and their life in 2018 America. Isolated snapshots of outrageous harms are a meager substitute for genuine coverage of a complex community. There are plenty of things that won’t be captured on cellphone cameras. Our next guest is dedicated to engaging the wide range of issues affecting Native Americans. Mark Trahant is a veteran journalist and journalism professor. Former president of the Native American Journalists Association, he blogs at TrahantReports.com, and now he’s editor of the new Indian Country Today. He joins us now by phone from Washington, DC. 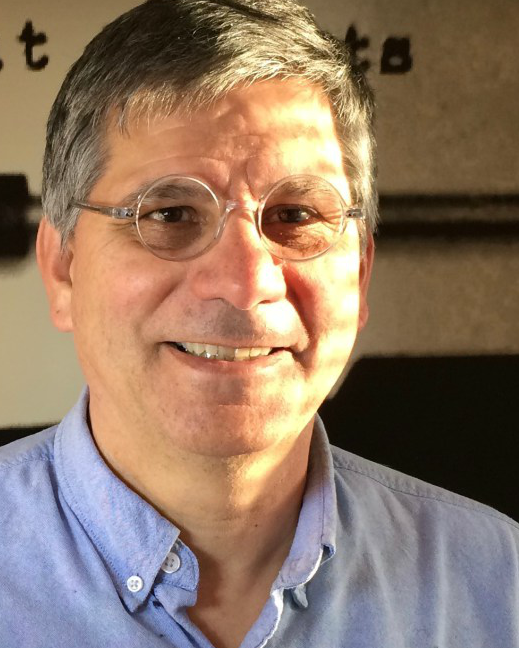 Welcome back to CounterSpin, Mark Trahant. Mark Trahant: Thank you. It’s always good to be here. JJ: There’s such an informational and narrative void in US media around Native communities, and issues with particular impact for them—with the understanding that not all 560-some tribes, or the people within them, have the same issues, of course—but how is Indian Country Today looking to place itself in the landscape? Tell us what the project is, as you see it. MT: I think it’s, first of all, solid journalism. Letting people know what’s going on on a daily basis, and putting in perspective so many of the challenges we all face. I think if you look at the media landscape, the one thing that’s so often missing when reporting about Indian Country is what I call “the narrative of excellence,” where we have so many remarkable stories about people doing extraordinary things, and they’re never told. And so most of the country, all they do see is just the problem side. They see the challenges. They never see these moments that really speak to what the country could be, as well as what Indian Country could be. JJ: Yes, for example, May 5 was just National Day of Awareness for Missing and Murdered Indigenous Women and Girls, and one wants that crisis to be illuminated, very much, but crisis and hardship is never going to be the whole story of a community. And when it comes to minority communities, we just know from experience that that “narrative of failure,” as I believe you’ve referred to it, it doesn’t necessarily lead to the kind of interventions that we might be seeking in the first place. But community media has this famous bind, where you want to counter the pathological representations of the community; at the same time you want to present a complex view, which is critical when it’s appropriate. But then folks say, “Well, how can you be critical of us?” You know? “We’re getting killed out there.” It’s a delicate—in some ways—role. 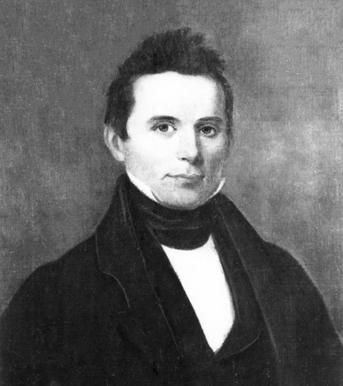 MT: In fact, in 1828, the very first editor of a tribal newspaper was Elias Boudinot, and he faced probably the most difficult question ever when the Georgia Guard was trying to push the Cherokee Nation out of Georgia violently, and tribal leaders said, “We shouldn’t talk about some of these issues, because it’s going to make it worse.” And he argued, “No, information will make us stronger.” And that debate has gone on in Indian Country, as in most communities, really ever since. Where do you draw the line in terms of protecting a community, versus truth and good, solid information? And, of course, being a journalist, I come down on that side of the question. JJ: Absolutely, yes. I see it, actually, mostly in the labor community. But as you say, the day-to-day stories—and with Native communities, a lot of those have to do with government, with policy—but they get lost. And I know that one policy area that you have been tracking in particular is healthcare. The shifts in Medicaid, the work requirements, and the deeper changes lurking in that for Native Americans, and then the Indian Health Service itself is another story. I wonder if I could draw you out a bit on some of the underexplored aspects of healthcare for Native communities. MT: Sure, and it’s a really great example from both fronts. First of all, when the Indian Healthcare Improvement Act was passed in 1974, the average age of death for an American Indian or Alaska Native was in the 40s. It should be one of the most remarkable stories told, of how a dedicated healthcare system has improved the lives of Native Americans. And yet most people write about it in terms of the gap that continues to exist, which is there, and you can certainly write about it; but if you look backwards even 50 years, you think, “Wow. Look how far people have come.” This is a really remarkable improvement. The same thing is Medicaid. It used to be that the Indian Health Service was by far the biggest funder of health programs on reservations. Today that’s shifted, where, when I first started reporting about Indian health, I thought it was like the one I grew up with, where you went in and saw a government doctor and, you know, that treatment plan. And starting in about 1975 up until now, tribes have been saying, “You know what? We can do this better.” And now 60 percent of the Indian Health system is run by tribes or nonprofit organizations, not the federal government. The federal government role is actually shrinking. The other thing is, in that same timeframe, Medicaid has become the primary funder of Indian Health. And even more people are still eligible for Medicaid than are on the rolls, so there’s still an opportunity for growth. And the great thing about that, from a patient’s point of view, if you go into Indian Health Service in the old days and they were out of money, unless you had a life- threatening disease, there was nothing that could be done. Now if you go in, no matter when you go in, and you’re eligible for Medicaid, the money is there and your healthcare follows. To me, and I hear it a lot with, “Let’s create Medicare for All.” And I’m, “No no no, Medicaid is much better than Medicare!” But it doesn’t get as good press. JJ: And this shift to requiring, potentially, these work requirements, it seems as though the Trump administration is using that opportunity to do some redefining there. Is that true? MT: There is, I think, a division of philosophical ideas about healthcare. One side sees healthcare as something that is separate and a right and something that ought to be served, and steps like Medicare and state programs and tribal programs are methods to get us there. The other side, frankly, sees Medicaid as welfare. And so they start throwing these other things into it that have nothing to do with healthcare. JJ: And are they saying also that… “well, it’s race-based”; they’re trying to change the way that Native communities are understood. MT: Right. The Centers for Medicaid and Medicare have recently signed on with these state waivers, basically saying that they’re race-based and therefore illegal. And that really flies in the face of entire constitutional history, where Native Americans are the only people mentioned in the Constitution, and it gives Congress the plenary right to do these kind of programs. So it really turns most of the country’s history on its head. The founders of the United States recognized that tribes were governments. And that idea has really gone through the history of the republic, where tribes were treated as governments that were here first, and as such treat their citizens in a certain fashion. JJ: When we spoke to you back in September 2015, the New York Times, in a story about Barack Obama approving the renaming of Mount McKinley to Denali, as Alaska Natives had always called it, the paper called that an effort “to improve relations between the federal government and the nation’s Native American tribes, an important political constituency that has a long history of grievances against the government.” Well, not to put too fine a point on it, but I’m not sure how much the Trump administration, or the major media, frankly, see indigenous people as “an important political constituency.” But for those that do, what’s the story there that we might not know about electoral participation? MT: Well, first on the big issue, I just don’t think you can understand this country’s history without understanding how tribal communities fit into the story. It’s so essential a part of how the country came to be, and continues to be and how it’s shaped. On the electoral side, I think this is really an exciting year, and I’ve written a lot about this. First of all, there’s more Native American women running for office; there’s more Native Americans running for state legislatures. Congress has hit a record for people going that route. Recently, for this TV show I’m working on, I decided to walk from the steps of the Capitol, and walked just under 11,000 steps, and that’s to represent the 11,000 men and women who’ve been elected. (By the way, one-third of all the women who’ve ever been elected to Congress are in office now.) And in that time, with nearly 11,000 members, not a single Native American woman, in the history of the entire country. And this time around, there are four really potential candidates to change that. JJ: That’s really interesting, and it sounds certainly newsworthy. We’re certainly seeing a lot of coverage of the election, and that fits right in. Well, finally, you wrote of Standing Rock, and that battle, “This is a fight about story and who gets to tell it.” So I want to bring you back to Indian Country Today, because we know—from inside of journalism and outside—we know that brave storytelling, part of it, is having an institution behind you to back you up, to do that storytelling, and I know that you have some personal knowledge there. But what’s most exciting, what do you think folks should look for in Indian Country Today, and what are the challenges that you know you’re up against? MT: The big opportunity is we’re trying to re-fashion as public media. So we have to do fundraising and all of that sort of thing, and eager to get out to the public. And I actually think that’s a good thing. I think the idea of relying on advertising and subscriptions is really limited, and this allows us to still do some advertising, but it really broadens participation by people, and I think that’s really important. So one of the ways we’ll do that is, all of the things we produce for Indian Country Today will be available for other media for absolutely free, and that’s keeping with that public media mission of getting the word out, and trying to do that. We’ll also provide a platform for upcoming Native American journalists, both younger ones and ones who’ve been around awhile. And we’ll do that with a combination of fellowships and other ways to kind of support that. I think the idea of storytelling is just essential, and really recognizing there are so many talented people out there that could be telling great stories to the country if they had the platform, and we hope to be that platform. JJ: We’ve been speaking with Mark Trahant, editor of Indian Country Today. 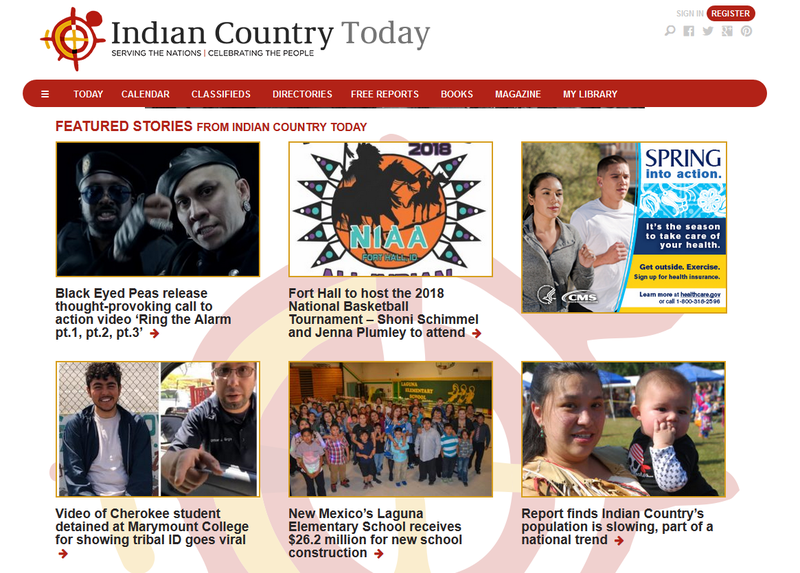 Look for them online at IndianCountryToday.com. Mark Trahant, thank you so much for joining us this week on CounterSpin.